Sunfire Run 10K Running event in Hyderabad is a joint intiative of Sunfire events and advertisements and Telengana sports association. 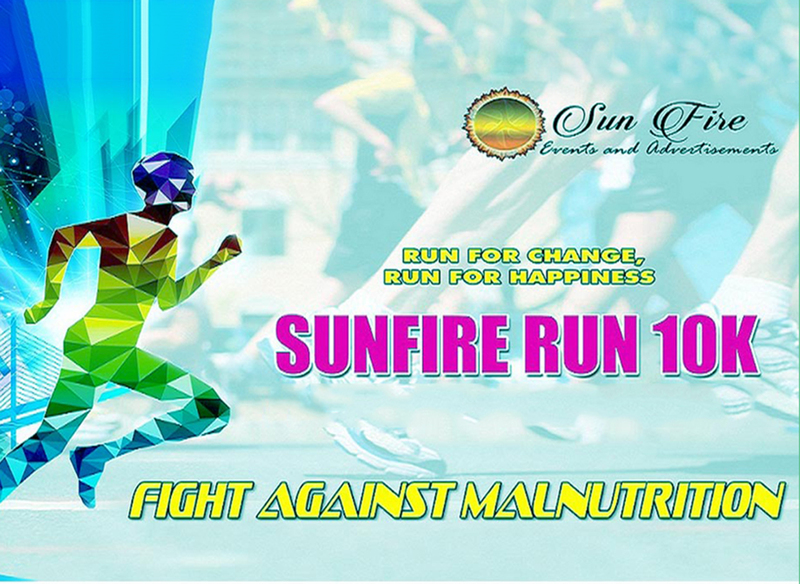 Sunfire Run 10K 2016 is one of the main sports events in india for physically handicapped.The main purpose of this event is to create awareness about malnutrition and the program aims to educate the people about several welfare areas such as hygiene,Environment, Safety, health and education.Sunfire events and advertisements have more than a decade of experience in such events. Sunfire Run 10K is also a remarkable event for handicapped who get the oppurtunity to showcase their talent and get rewarded for it. People from different part of country will participate on this race.Mal nutrition free nation is the dream of this running events. As per Unicef reports Nearly half of the deaths in pupil under the age of five are attributable to malnutrition and it leads to the death of about 3 million children lives in a year.Despite the fact that India has secured remarkable combats against childhood malnutrition in recent years, but still we could not win the fight againt the malnutrition.So get on the track and be the part of fight against malnutrition.